their `never say die´ mettle after a devastating fire. but we knew that we had to get things up and running as quickly as possible,” said Director, Chris Cook. Sil-Die’s latest investment – DATRON’s new M10Pro, which heralds their new generation of high speed milling centres, delivering even faster precision and control. These four DATRON machines provide a highly competitive edge at Sil-Die’s new factory – with high quality, reliability and accuracy. Suppliers quickly rallied round the well-established, family-owned foil and embossing die manufacturer - established over 30 years ago - and DATRON was one of them. 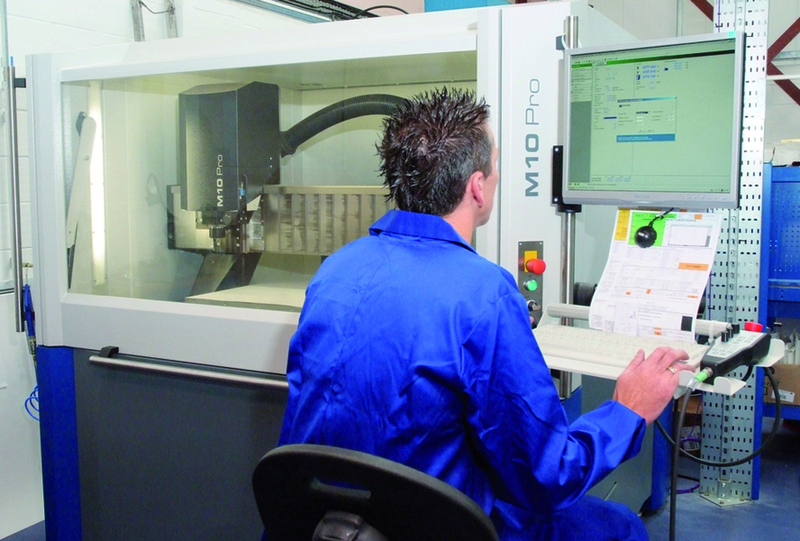 The delivery and installation of the DATRON M8 was effected very quickly – with Sil-Die staff able to pick up its CNC programming protocols and operation very quickly indeed. Such was the efficiency and exceptional operating performance of the M8 that orders for three other machines quickly followed – two M7HPs and a stateof-the-art M10Pro – with another M10Pro in the offing. “Investing in our future by purchasing the M10Pro – DATRON’s flagship product - has continued to emphasise our strong commitment to our staff and our customers. It also shows that we have recovered quickly from the effects of the devastating events earlier this year. Sil-Die manufacture hot foil and embossing dies, jigs and fixtures mainly used in the print finishing process – for greetings cards, packaging, wrapping paper, book covers etc. 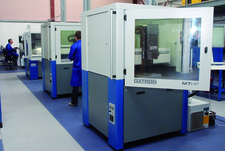 The high quality of the metal, silicone or plastic dies produced takes into account flat or shaped parts and the DATRON machines are all capable of achieving the tolerances required. “This is especially important on medical packaging where even the finest print must be reproduced accurately to meet the mandatory European standards,” said James Cook. 0.2 mm high dots sets Sil-Die apart as one of the few suppliers that can achieve this level of quality. Effective workholding of the brass sheets, for example, is provided by the vacuum table integrated into the machine’s bed. All the DATRON high performance CNC machining centres are compact powerful machines built with a trademark granite table – offering the highest precision, stability and robustness. The Sil-Die machines are equipped with high frequency spindles capable of operating up to speeds of 50,000 rpm and each is equipped with a toolchanger (ranging from 10 -22 tools). 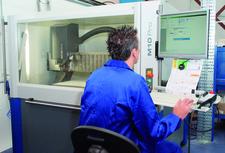 Sil-Die also purchase much of their tooling from the comprehensive DATRON range of cutters. Their compact design also ensures that each machine has an exceptionally small footprint and this was an added bonus for Sil-Die in designing the new factory layout. 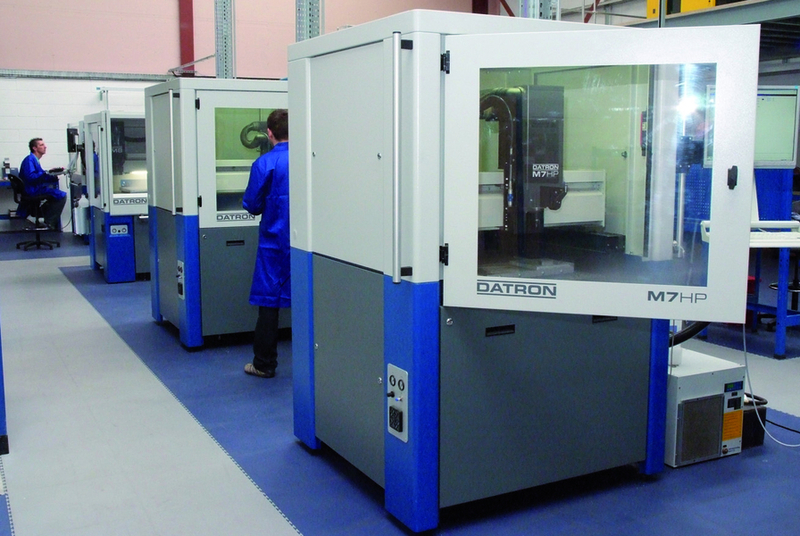 “It is not just the quality of the machines that is important but also the calibre of the people at DATRON who are highly responsive and supportive in ensuring that we operate as smoothly as possible. The excellent service from their UK-based engineers, telephone support and the quick availability of spare parts is vital,” said Chris Cook.